Home > Google News > Google Updates > A Google Update Kicking Into Gear Now? As I mentioned in our monthly Google webmaster report this morning, it seems like there is an uptick in chatter around a possible Google update kicking off this morning. 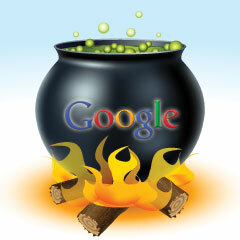 It is extremely early but I've received emails, tweets and other correspondence of a possible Google update. In addition, the WebmasterWorld thread has some renewed discussion around changes in traffic and search results and both SERPmetrics and especially SERPs.com show volatility in the Google search results. And MozCast just updated showing incredibly high changes in the Google search results. So it does seem something is going on based on all the signals I am following. Did you notice an update? Have your rankings changed? Update: Google will not comment on this update.